The Debate: Isn't it time we stopped patronising Africa? 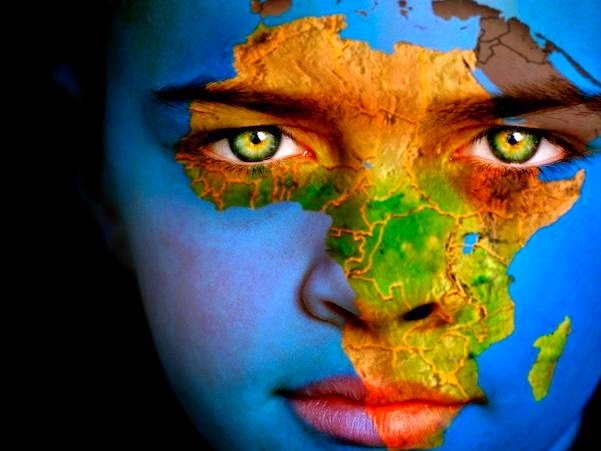 Africa, as a continent, has experienced much hardship in the last 130 years, such as colonialism, racism, brutal genocides, dictatorships, war and pillaging of the land for the resources. Some of these things are still happening today. The Western media tends to focus on all these characteristics. However, what the media doesn't tell you is there are also success stories. Many African countries have been coming into their own economically and politically. People forget that South Africa has successfully hosted a Rugby World Cup and a Football World Cup in its short history as a democratic multi-party state. Other countries, such as Gabon, Botswana, Namibia and Ghana are also showing encouraging signs. A recent Reuters article reported that "Africa withstood the financial crisis better than many predicted, and the region's economic growth is forecast at 4.75 percent in 2010. Next year, half of the world's 10 fastest growing economies are expected to be in Africa." Why am I writing this article? To dispel the common misconceptions that so many have about Africa. This may seem really banal to some who read this, but a recent poll conducted by Sunshine.co.uk shows that 20% of Brits think it never rains in Africa, 70% think the Sahara is always hot, and 54% think Timbuktu is imaginary. This, I believe, is the tip of the iceberg. Ergo, let me dispel two of the biggest misconceptions. 1) "Africa? Isn't it a country?" Africa is NOT a country. Pan-Africanism is common in Africa - slightly less in the North where people also feel a strong sense of Arabism and Middle Easternness, but certainly in the Sub-Saharan region - because, in the face of adversity past and present, African people like to express solidarity with one another. One such example is in the 2010 World Cup, when the South African crowd voraciously supported Ghana against Uruguay when it was the sole African team left in the tournament, and booed Luis Suarez (he of the goal-line handball) in the 3rd place playoff. The African way of thinking is: "We may be from different countries but we're all African". However, because one is proud to define oneself by continent as well as country, this does not mean the two can be blurred. I identify myself as Italian, English AND European, for example, but even though Europe has at times shared a common history, claiming that Italian culture and history is the same as French culture, German culture, British culture and Serb culture would seem preposterous to us, and Africans are entitled to feel the same acerbic feelings when someone, in the space of a few words, lumps together every country in Africa, ignoring the history, culture and existence of each. 2) "Africa is a mess! Everyone is starving, dying of AIDS or killing each other there!" This is incredibly wrong and ignorant. Africa is NOT a barren wasteland where everybody's malnourished, dying in the street and covered in flies. It baffles and disgusts me how people my age or older (physically, obviously not mentally) ask me "Africa? Isn't everyone starving there?" or "Be careful when you go to Africa, you'll catch AIDS!". And yes, I have been asked. One wouldn't say "North America is a wasteland" or "Asia is a big mess". There are richer countries and there are poorer countries. There are big prosperous cities, there are small quiet towns and there are slums. Some regions are at war and others aren't. Africa is just as varied, economically, politically, and culturally, as any other continent. The Band-Aid song "Do They Know It's Christmas Time" is to blame for putting these preposterous ideas into people's heads. If one imagines how much tourism has been lost by people not even considering Africa as a holiday destination, as well as charity money ending up in the wrong hands, and just the sheer indignification of it all for its people, it's been more of a bane than a blessing - particularly when the same song with the same patronising, misleading lyrics has been released three times, the latest in 2004, just so the sons and daughters of those who witnessed Live Aid can also learn that Africa is a place to be avoided and derided. You know it's telling when Birhan Woldu, the famous child from Live Aid, openly opposes food aid and charity. In a 2009 Telegraph article, she says: "As well as being demeaning to our dignity, my education has taught me that constantly shipping food is costly, uneconomic, and can encourage dependency", and: "we know our vulnerabilities. We are a proud people... let us grow our own food and help manage our own systems so we are not hit so hard when the next drought or flood comes." A brilliant satire on Lee Nelson's Well Good Show, of how young adults, and by extension, the general public, view Africa. This is a must-watch. If you truly want to help Africa, book a flight to Johannesburg, Accra or Addis Ababa, book a hotel, rent a car, and go there on holiday. Visit the restaurants, buy curio, and visit the attractions. Yes, some areas are to be avoided, but I'm sure one doesn't need to be told where the no-go areas are in London or Los Angeles. By treating African nations, and its citizens, as we would any other country in the world, we are giving so much more than simply popping a cheque in the post, or a coin in a charity bucket, and getting on with our day. Not that I'm saying stop giving to charity, but in the mid to long-term, assuming that Africa is a place where "there won't be snow... this Christmas time, the only gift they'll get this year is life, where nothing ever grows, no rain, no rivers flow" is at best undignifying and at worst downright dangerous and stifling to Africa's development. Africa is home to so many beautiful countries, friendly proud people, fantastic food, rich culture, stunning attractions and some of the greatest flora and fauna in the world, so isn't it time we stopped patronising it? 1) The use of media polls to demonstrate a point is unwise at best and can make everything seem less credible. People like a headline number, but these are often unrepresentative and misleading. They invariably have an ulterior motive (selling papers and making money!) and are conducted as such - meaning a suitably distorted result is achieved. That's not to say I don't agree with what you're saying, but I just think they are bad way of supporting a claim. I won't labour the point any more but one person who is good at debunking ridiculous media statistics is Ben Goldacre (e.g. http://www.badscience.net/2008/11/you-are-80-less-likely-to-die-from-a-meteor-landing-on-your-head-if-you-wear-a-bicycle-helmet-all-day/). My point is not that people should not go to Africa because of this or tar the whole continent with the same brush, but that it does these people a disservice not to emphasise the extent of the problem and to spread awareness. Especially in forums such as these, where people may be in a position to help. Also, I realise that in grouping lots of countries together as Sub-Saharan Africa I went against your excellent point. However it does make epidemiological sense. Anyway nice one! I'll try my best to argue with scientific/statistical etc points to keep you on your toes!